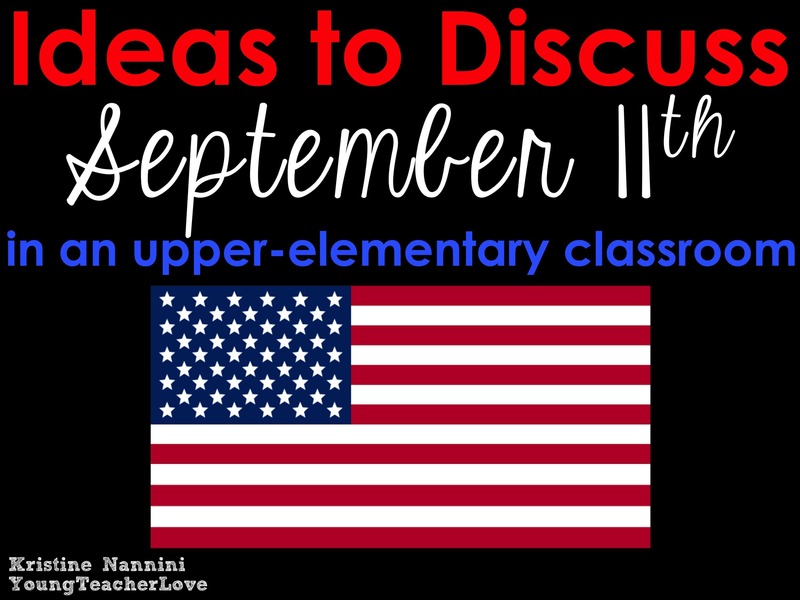 I’m here to share some ideas to discuss September 11th with your students. 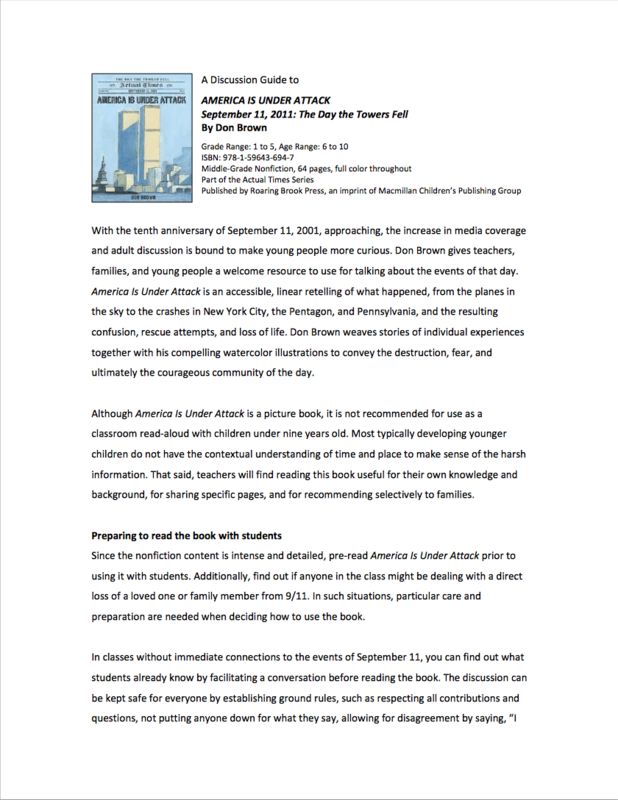 I always question whether or not to discuss the tragedies of September 11th with my students each year. I worry that as the years pass, my kids will connect less and understand less due to when they were born. But each year I make the decision to discuss it, and I am always so happy I do. We are forever changed as a country due to this tragic day, and it’s important, as the years pass, for our children to know about these important events in our history. Despite my insecurities about discussing this horrible tragedy, I am always fascinated at the eagerness and empathy my students show when I do discuss it with them. They are all truly interested in learning more, knowing more, asking more, and wrapping their brains around the events of that day. They probe, they dig, and they question me until they’ve got nothing left. I find that when I read a favorite picture book and leave some time to just chat with my kids, this always lends itself to a phenomenal discussion. A time to sit and discuss and reflect with my students is what they really want. But each year is different. So to be prepared, I’ve gathered some of my favorite (free!) 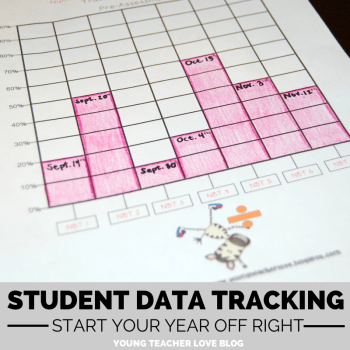 resources to share with you. The book The Man Who Walked Between the Towers is so wonderful. 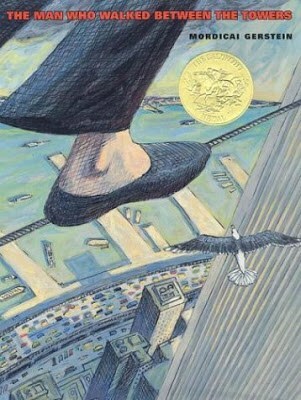 It’s a Caldecott award-winning story about tight-rope walker Phillippe Petit who threw a tightrope between the two towers of the Word Trade Center and spent an hour walking, dancing, and performing high-wire tricks. I have also played the video version of the book, which my students loved. Scholastic also offers a fabulous inferencing lesson, using this book HERE. 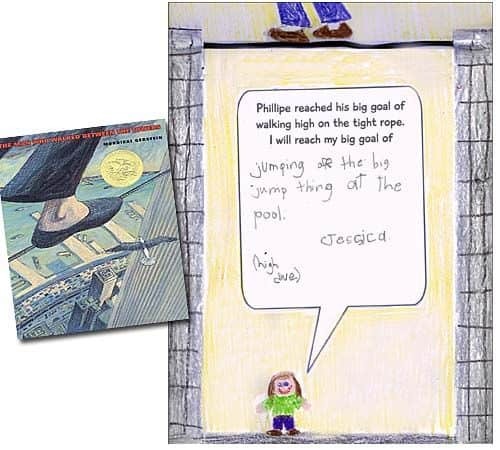 You can also complete a great readers response activity on goal setting found HERE. Another book I have read that my students enjoyed was America is Under Attack, September 11, 2001: The Day the Towers Fell. I love this book because of the way the author tells the story of the day and the events that happened, all while weaving in emotional quotes and characters to connect with young readers. You can click HERE to grab this free discussion guide to use while reading this book. 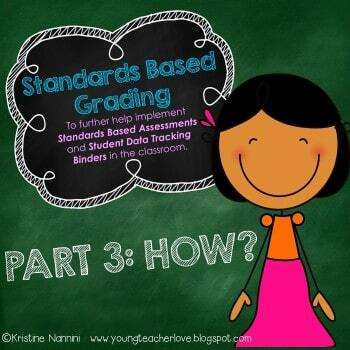 The resource below was made by Natalie from What the Teacher Wants, and you can grab it HERE! I am so grateful for these, as my students really enjoyed interviewing someone in their family, and they enjoyed getting to know my story as well. 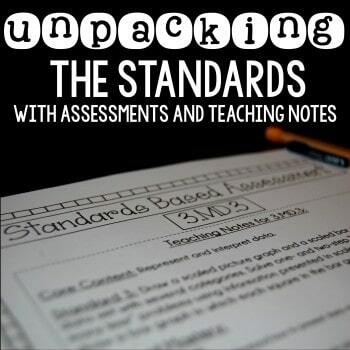 There is an entire section devoted to teachers that is full of amazing resources to use with your students in your classroom. Check it out! I’m reading this book to my fifth graders tomorrow too. I Just got it from a friend this summer. I didn’t know about the you tube video though, thanks so much for sharing! I think I will play the video tomorrow. 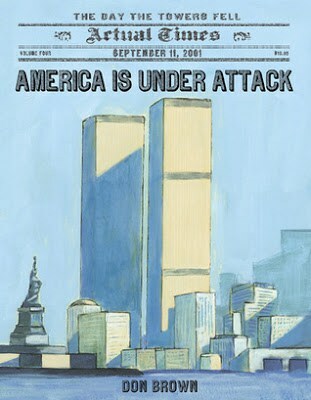 It’s strange how now I have no students who were even alive when 9/11 happened. I was also in 10th grade at the time. I like the interviewing activity. It really is the major event of recent history. Thank you so much for the link to the video of the book. I was feeling bummed because every 9/11 related picture book I have looked for the last week at the library and book store I had been unable to find. Now at least we can watch the video! I’m not teaching this year, but I taught fifth grade last year. You’re right, it’s crazy to think that these students were just babies when this happened (or, with this year’s class, not even born). I love the books you suggested. Like you, I usually overplan for this day, but the students always carry the discussion so much further than I expect them to. They really do understand the human heart and have so much more empathy than we realize sometimes. Thank you for this post. THANK YOU for the shout out! Love ya! Thank you everyone for your super kind comments! I appreciate them so much! 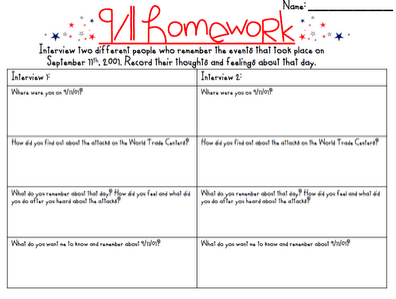 I hope you all enjoyed 9/11 with your students. 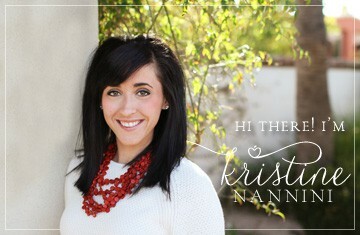 …and Miss Natalie Kay from What The Teacher Wants??!?! UMM! You are a teacher celeb in my mind! So thank YOU! !